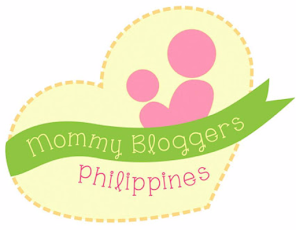 Mommy Tots: Go Shop Online and Get Paid thru Shopback.ph! 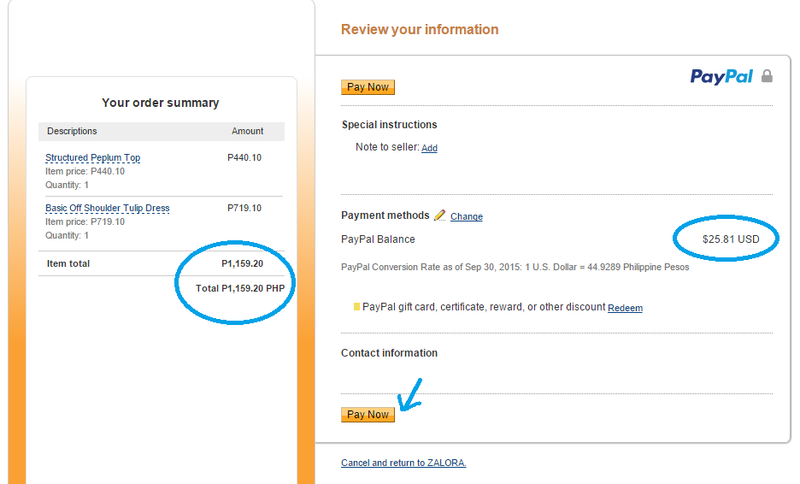 Go Shop Online and Get Paid thru Shopback.ph! 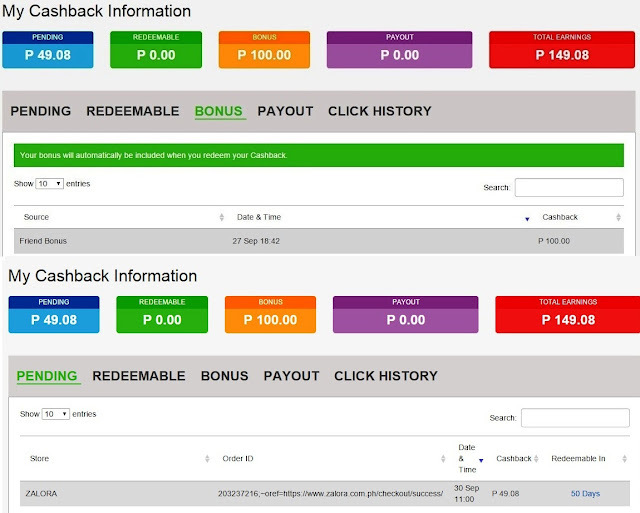 Singapore and Malaysia's most popular cashback website is now here in the Philippines! If you do shop online, why not shop thru Shopback.ph and get rewarded with actual cash of up to 12% of your money back? It's simple as having SM Advantage card or various member Rewards Card that we use every time we shop. I first learn about this cashback site thru an FB post from a friend. I signed up using the link provided and browse through its wide selection of stores. 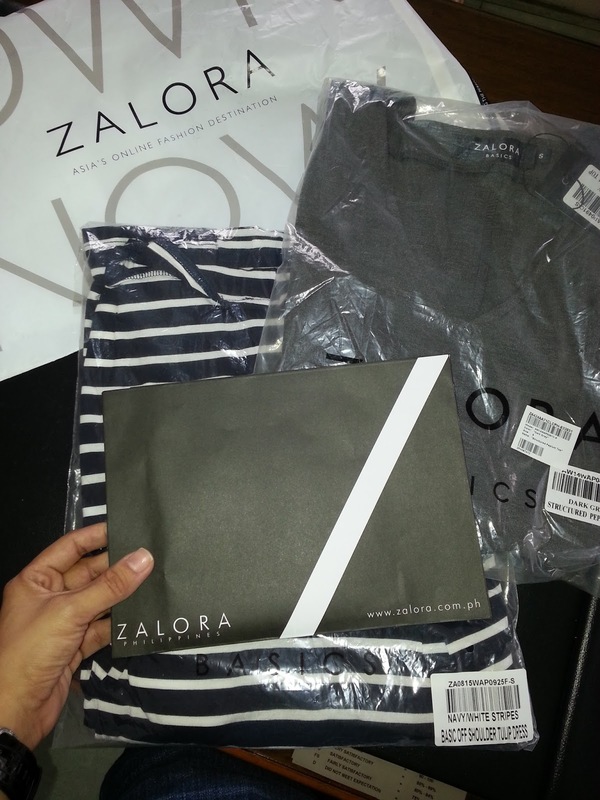 Popular online stores like Zalora, Lazada, Ensogo, agoda and a lot more was listed. 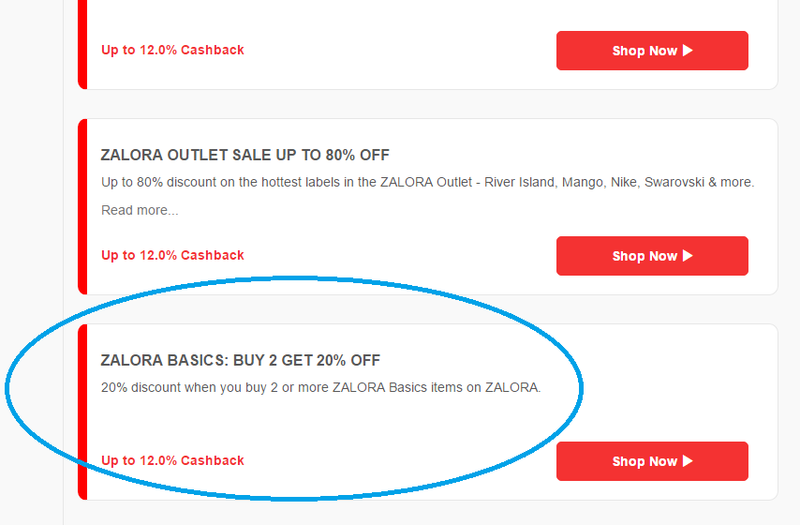 If this cashback site has long been existed here in our country, I think I have a good portion of my money back with all those online deals that I purchased way back. Tsk! 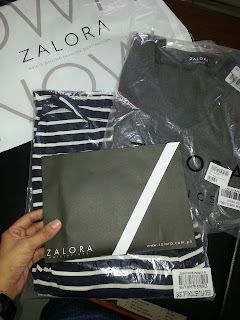 Anyway, I recently bought online some pieces of statement necklaces, so I opt to look for a matching basic tops at Zalora thru ShopBack instead of heading to the mall. After account logged in, a wide selection of stores, online sale, travel and best deals are available to choose from different categories. 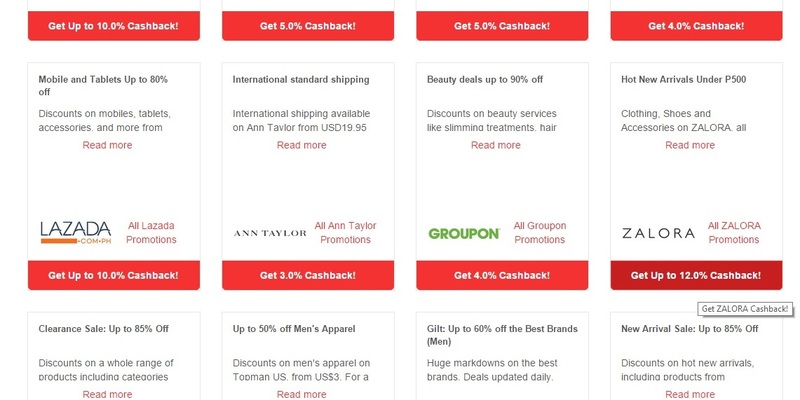 Shopback serves as a one stop online shop, as it provides listing of current sales or coupon codes for each merchant page. You can see all the promotions and discounts of your favorite online store summarized in each merchant page. 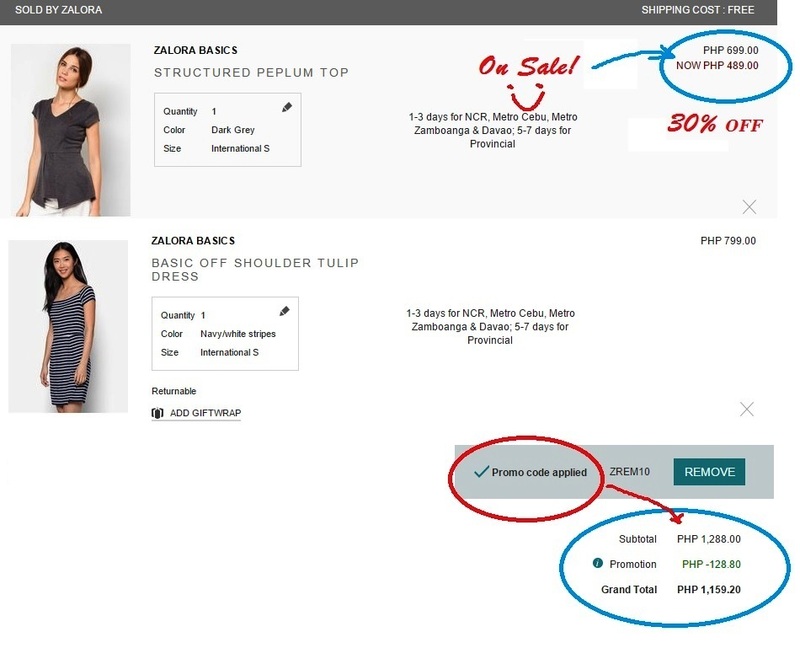 Yes, it makes shopping even more convenient and provides extra "savings" when we shop. There’s no issue if you already have discount codes or credit card rebates. You can use the discount codes and still get cashback on top of that. The cashback comes stacked on top of all other promotions, so you won’t have to choose one over the other. I clicked the "Shop Now" button and got redirected to a new tab where I can shop as usual. I logged in to my Zalora account and started to add items to my 'bag' and choose 2 items to take advantage of 20% discount promotion. 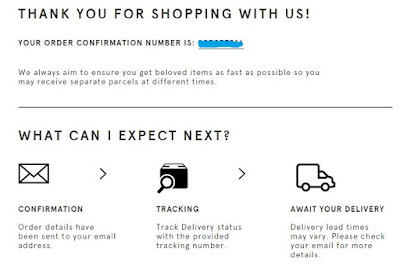 Take NOTE: "It is important to stay within the redirected tab till purchase for a successful Cashback." As I was finalizing my order, I received an email from the merchant offering a one time 10% OFF that will expire tom midnight. Wow! they really knew how to push their customers to checkout the items. The first item was on sale already, I checked with the merchant's CSR and was informed that the 20% OFF can no longer be applied because it is eligible only for regular priced items. Well, that's fine with me, since I got the Peplum Top for 30% OFF the original price and another 10% OFF for the TOTAL price. 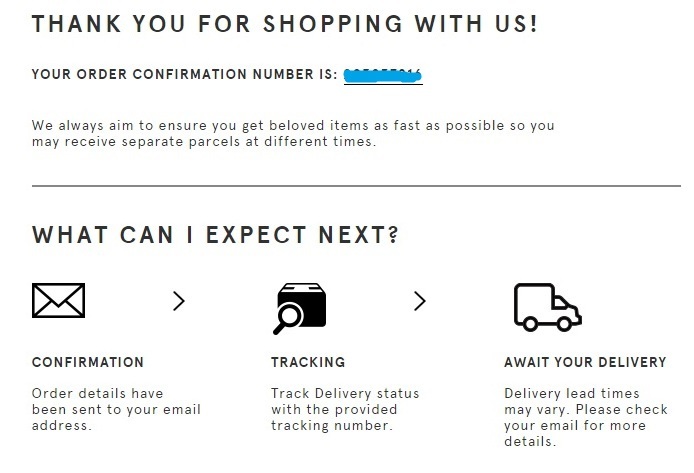 I checked out the items as usual, the only difference is that I am using the redirected tab via Shopback. My preferred payment option was paypal, as always. 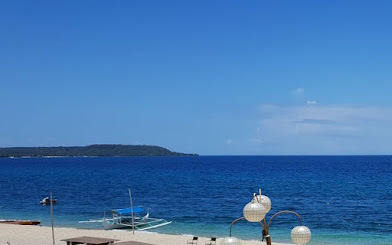 Now, I prefer shopping online thru Shopback, as it conveniently compiled all the best online deals plus the bonus of having a portion back of the money spent. 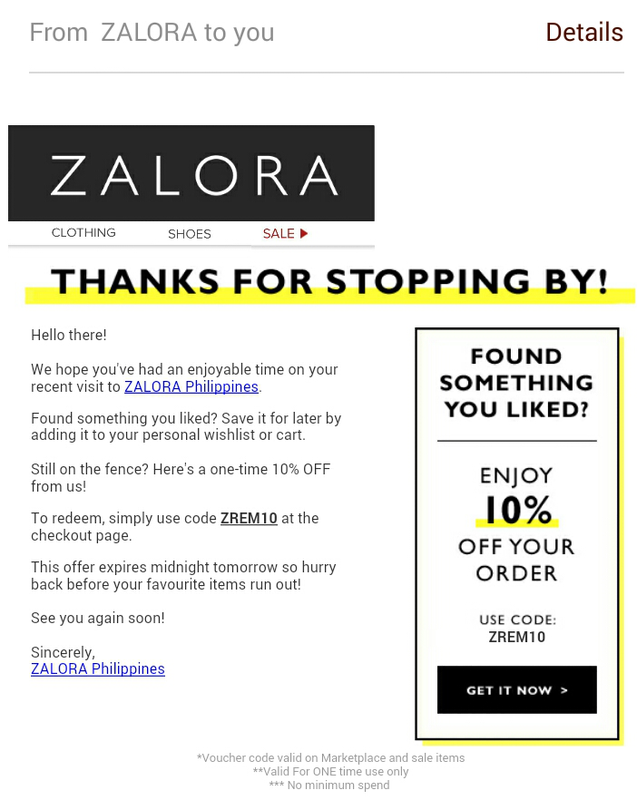 And, would definitely recommend this to online shopper to save time looking for the best deals and have extra savings while spending. 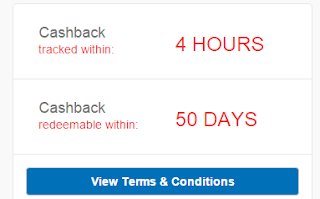 Cashback is tracked within 4 hours of transaction and redeemable within 50 days, but as I checked after a couple of minutes, the cashback was already reflected in my account information. Give your friends P 100.00 & you get rewarded with P 100.00 when they make a purchase! What do you think? As for me, this is a brilliant addition to e-commerce industry where consumers can enjoy unlimited rebates. As for cashing out the total earnings, I will be posting my review... soon! I explored it a few months ago but I haven't made any online purchase as of late. I'm shopping for a jacket for my dad so I'll try to use this para sulit! I love online shopping with huge discounts! Will definitely check this out. oh wow! 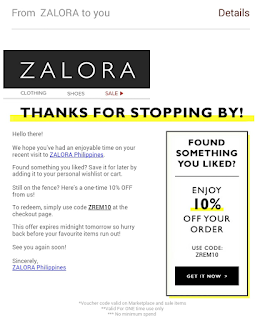 earning while shopping and Lazada, my favorite online shopping page works with it! Sounds tempting. Hihi. But sometimes, I still prefer shopping in person on malls as it only happens very rare. Hihi. tempting indeed! :D perfect for gift-giving season!